petition: 'Right to Hunt' Act would criminalize first amendment rights! 'Right to Hunt' Act would criminalize first amendment rights! The proposed 'Right To Hunt' Act would seriously breach first amendment rights in Wisconsin. 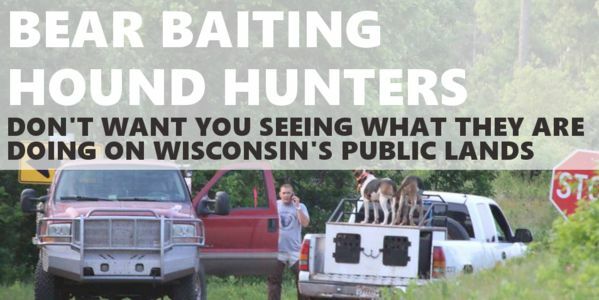 By criminalizing photography & filming hunting in public spaces, and simply being on public roads around hunters, the state of Wisconsin would be seriously eroding one of the most important facets of American democracy - freedom of speech & freedom of press. The text of the proposed Right to Hunt Act (AB433) in Wisconsin is available here: http://docs.legis.wisconsin.gov/2015/proposals/ab433. Wisconsin already has hunter harassment laws, and hunters have a lot of protections for their activities on public lands. Please don't reduce the ability of ALL residents of Wisconsin to practice first amendment rights on public lands. Keep up to date with this issue on the Wolf Patrol website www.wolfpatrol.org and Facebook page: www.facebook.com/teamwolfpatrol. The 'Right to Hunt' act was put forward by State Representative Adam Jarchow. By introducing this bill, he is contradicting the Federal and Wisconsin constitution's in relation to free speech and freedom of press, and is working to erode even the most basic rights of the citizens of the USA.